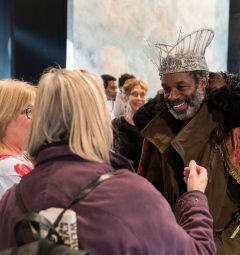 At The Old Vic, we aim to be a surprising, unpredictable, ground-breaking, rule-breaking, independent beacon of accessible, uplifting and unintimidating art. We don’t want to give away any ‘spoilers’ when promoting a production but understand that some plays may cause distress or trigger challenging emotions for some of our audience members. 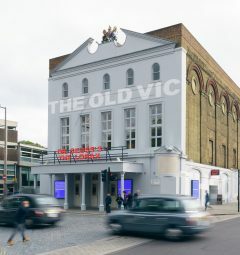 If there are certain themes that you would find particularly upsetting and you’d like to speak to one of The Old Vic team to find out more about a show before you book, please give us a call on 0344 871 7628 or email us: box.office@oldvictheatre.com.